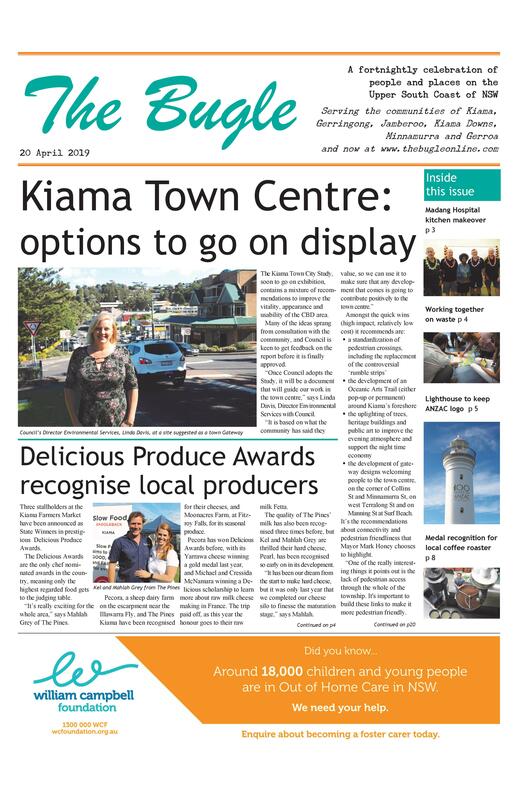 Following hot on the heels of the success of the third annual Red Cross Fun Run, a commercial Nowra-based running events organiser, Elite Energy, is getting in on the action by holding its inaugural Kiama Coastal Classic. A week out, over 500 people are expected to be registered for the running festival which is held over 2.5km, 10km and 15km distances. Around 300 of these registrations are for the longest distance which is the main event. It will see competitors run from Gerringong to School Flat on Kiama Harbour, following the route of the Kiama Coast Walk. The organisers see it as a great warm up for the City2Surf or the Mountain to Mountain, which has people run from the base of Mt Keira to the top of Mt Kembla. “For this initial event we have targeted our marketing to the Shoalhaven and South Coast, but we see great potential to attract people from Sydney to run along the coast,” says Sebastian Gallery of Elite Energy. The 15km Kiama Coast Classic starts at the southern end of Werri Beach at 10am, with some road closures and warnings on the streets where the Coast Walk goes through residential areas. It ends at School Flat on Kiama Harbour. The entry fee is $85 or $100 on the day. return. The entry fee is $45 or $60 on the day. return. The entry fee is $25. All fees have an additional 5.5% administration fee. Professional timing equipment will be used.